Most countries celebrate Mother’s Day on the second Sunday in May. This year, Mother’s Day is on May 12th. There are many ways to celebrate our mothers. In the United States, many of us buy flowers, candy, jewelry, or create something to show our appreciation. Past political and cultural events have shaped this tradition. This week’s blog post will focus on celebrating mothers, the roles that mothers have played, and mothers who have worked to help their children whether near or far from home. 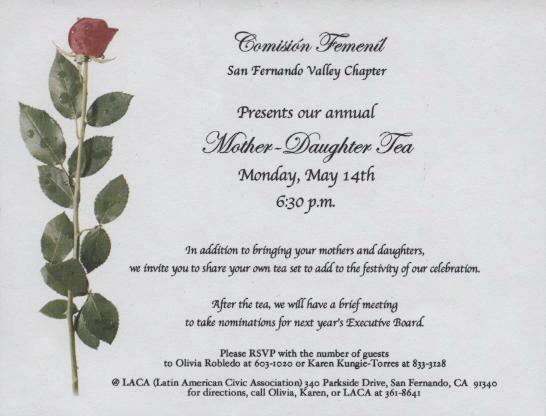 Below are a few items from our collections that contain documentation of Mother’s Day events, such as the "Mother Daughter Tea," put on by the Comision Femenil San Fernando Valley Chapter. 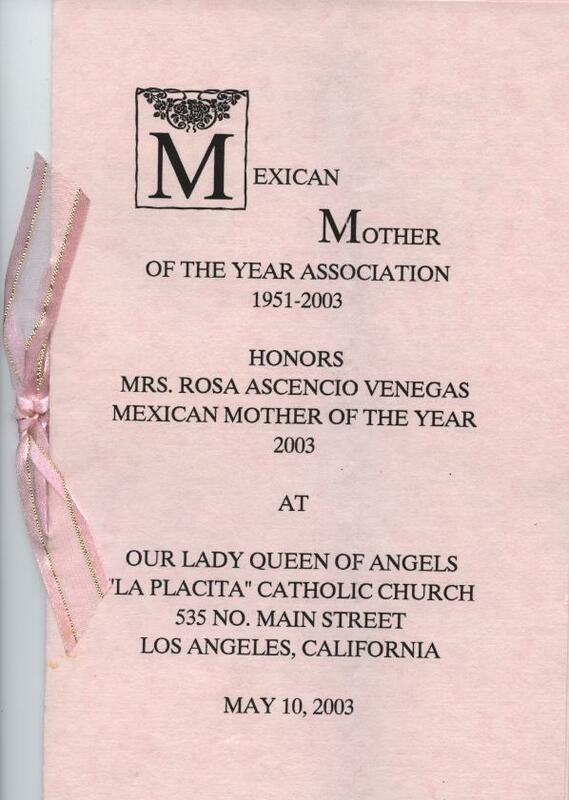 Another event that celebrates mothers is the annual "Mexican Mother of the Year" award, which honors a mother who is a member of Mothers of East Los Angeles. 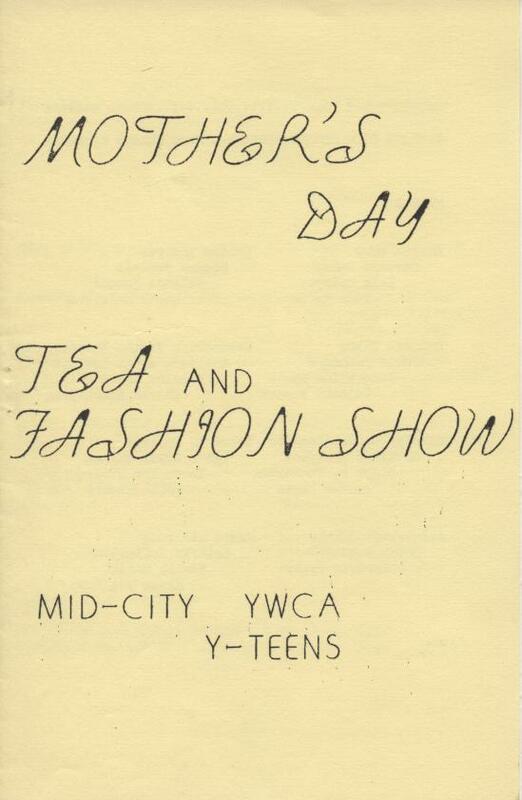 The "Mother’s Day Tea and Fashion Show" was an event held by the Young Women’s Christian Association of Los Angeles, Mid-City Y-teens. Immediately before the US entered World War II, Mother's Day took on a distinctly political tone. Although the US had not officially entered the war, Navy ships were being convoyed in combat zones, and lives were being lost. Many mothers were concerned for the wellfare of their children, who had been sent to fight for their country. 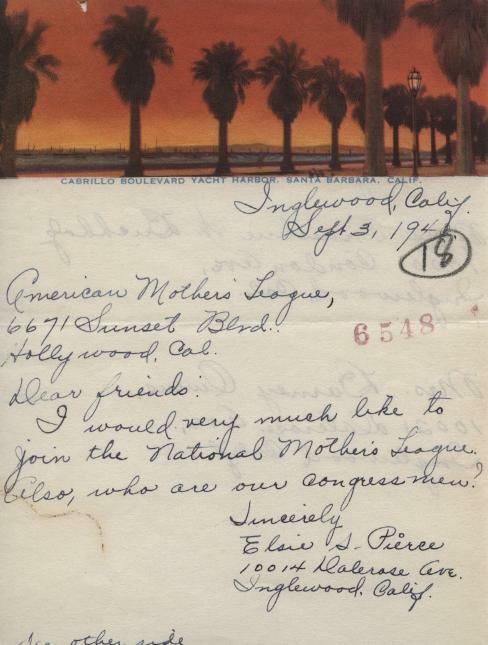 A group of mothers formed the Mother’s National Executive Committee, which united the Mothers of the U.S.A., the National League of Mothers of America, and The Women’s National Committee to Keep the U.S. Out of War. 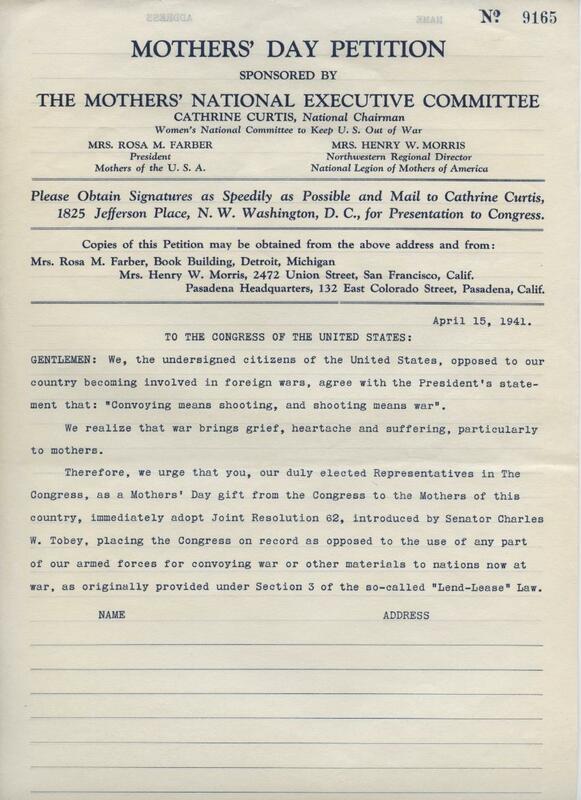 The Mother’s Day Petition, a national effort to demonstrate dissatisfaction with the government and military, was circulated by that group, and is part of the Jewish Federation Council of Greater Los Angeles’ Community Relations Committee Collection. Once the United States was officially involved in World War II, our country desperately needed workers to create machines for the war. Many mothers, even those who had small children, were called to work in the war industries. 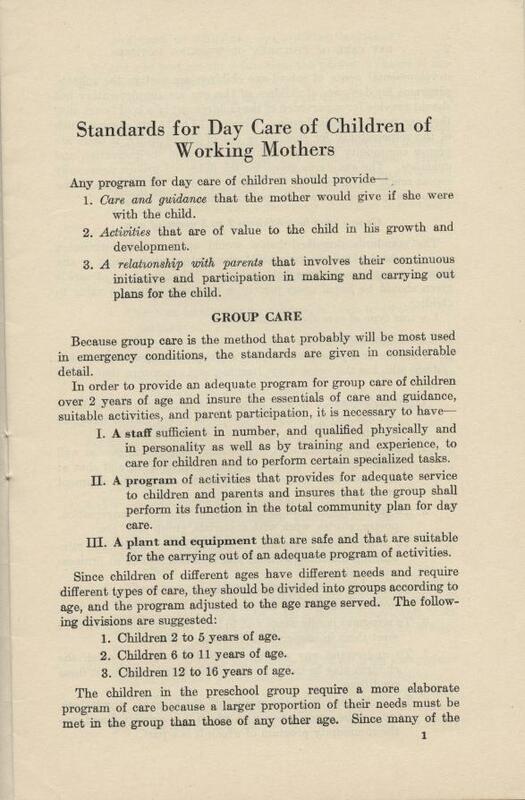 As a result of entering the work force, mothers had to find ways to provide child care for their young children while they were out of the home. This brought about more interest in setting standards for childcare and childcare institutions. 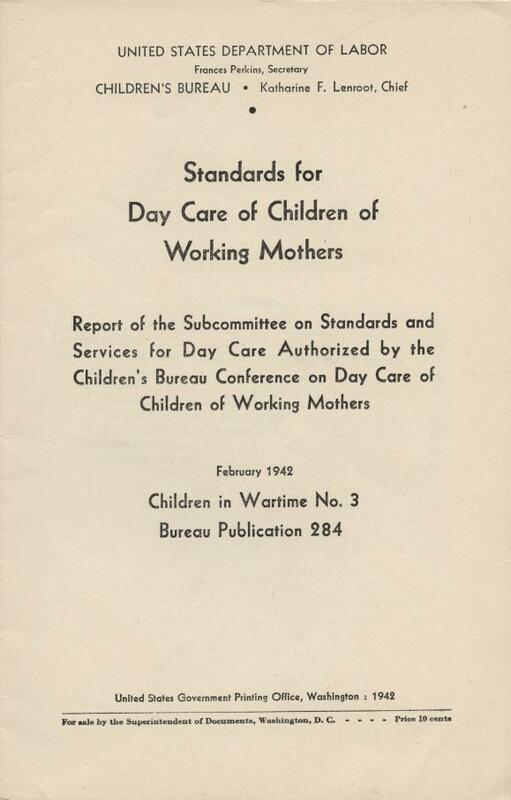 The California Association for the Education of Young Children Collection includes a document entitled "Standards for Day Care of Children of Working Mothers," created by the United States Department of Labor in 1942. 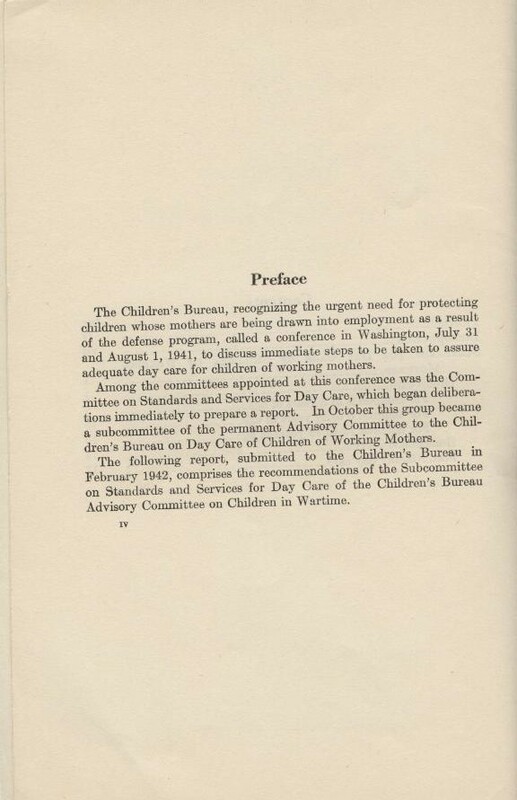 It states that "Any program for day care of children should provide...Care and guidance that the mother would give if she were with the child." Following World War II, most women with children returned to their lives as homemakers. 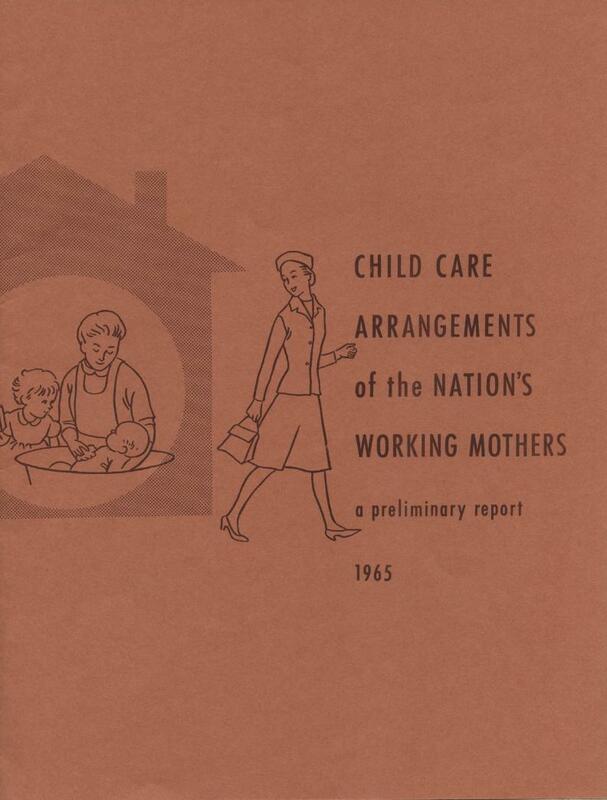 However, childcare issues continued to gain importance as more and more mothers entered the workforce in the decades that followed. 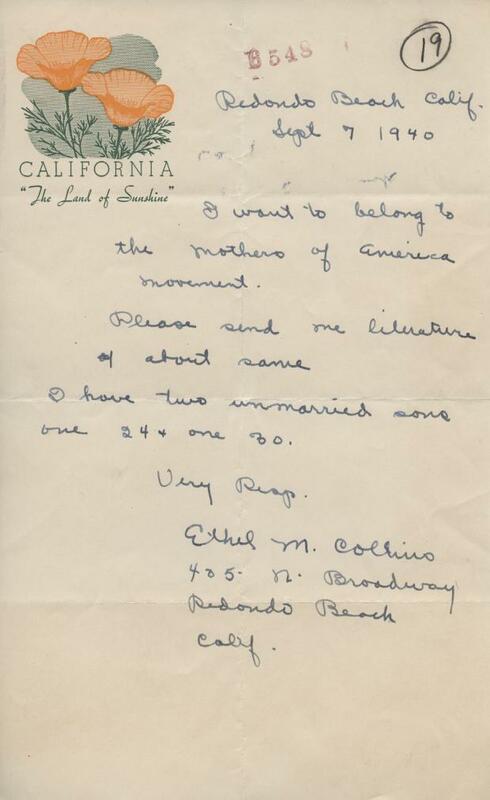 "A Mother’s Prayer" is a musical score contained in the Vahdah Olcott-Bickford Collection. 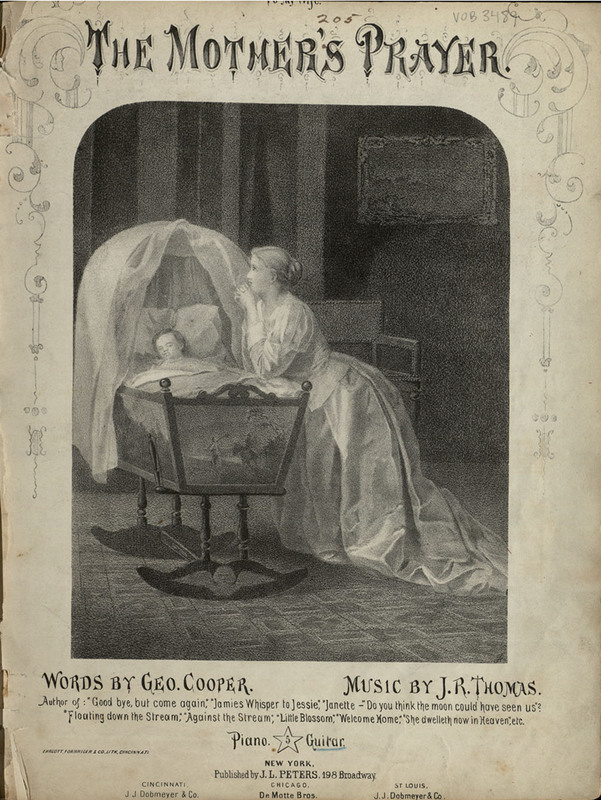 This song, written in 1868, demonstrates the love a mother has for her child: "How fondly ‘mid her joys and fears the mother waits the coming years / For little feet may go a-stray and wander from the narrow way, / That angel hands may shield his life amid the never-ending strife, / That love may banish pain and care is all the mothers’ earnest prayer."